With all the technology in the 21st century that allows us to select fonts and layouts with a few clicks, we often forget that type used to be set and printed manually by hand. Typesetting is the making of block-printed text by grouping “sorts” (pieces of type representing a specific letter or symbol) and ordering them in an intelligible manner before inking it and pressing pieces of paper against it. Known also as movable type, this printing press technology was first made from porcelain materials and invented around 1040 in China, by the inventor Bi Sheng. Bi Sheng's clay types were fragile and not practical for large-scale printing. He also pioneered the use of wooden movable type, however abandoned the technology due to wood grains and the unevenness of the wooden type after being soaked in ink. 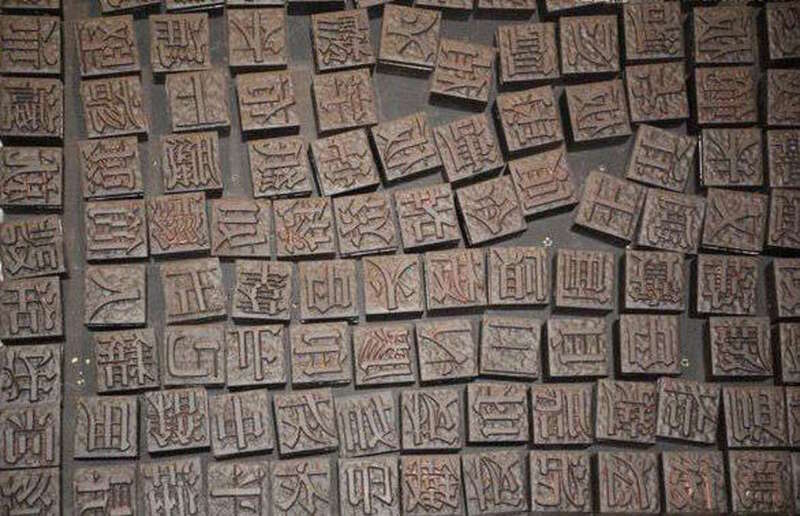 But in 1298, Wang Zhen, a Yuan dynasty official from Anhui Province, re-invented the method of making movable wooden type. 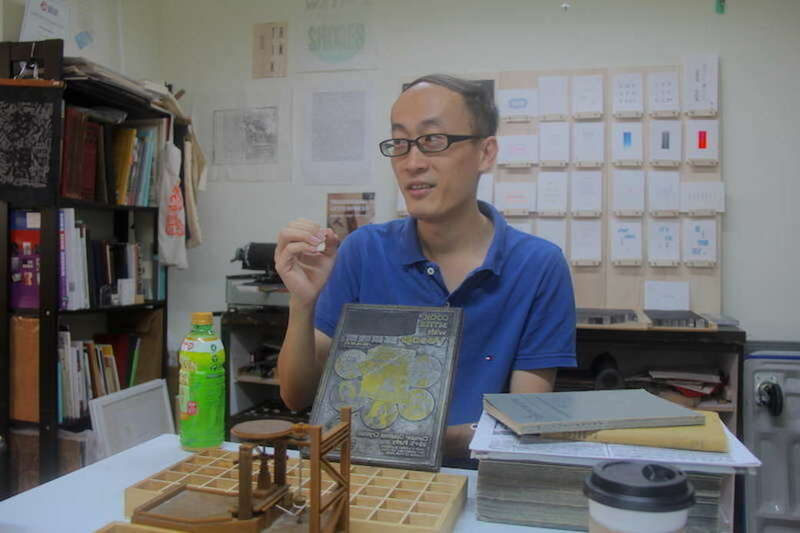 He made more than 30,000 wooden movable types and printed 100 copies of Records of Jingde County (旌德縣志), a book with more than 60,000 Chinese characters! Even though the wooden type had evolved to become more durable, repeated printing wore the faces down, and the types could only be replaced by carving new pieces. This technology was later enhanced by pressing the wooden type into sand, and then casting it in copper, bronze, iron or tin. This new method was able to eliminate many of the wooden type's shortcomings. Furthermore, they were even more durable and could be reused and stored! 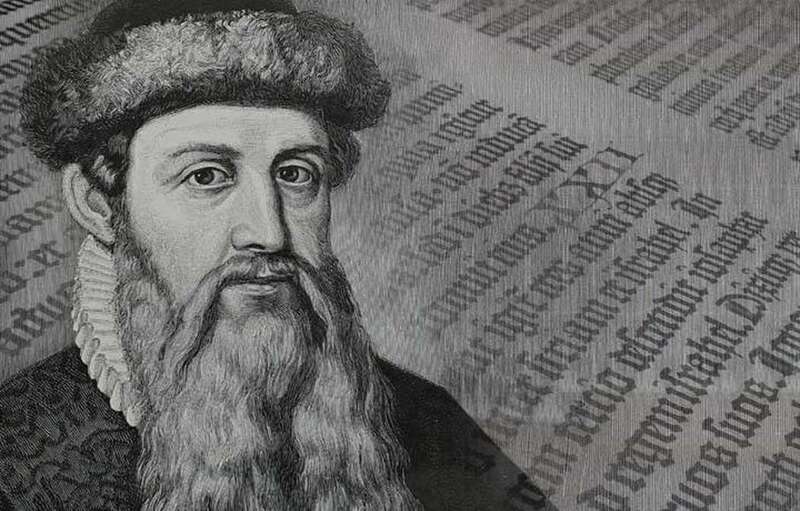 On the other side of the world in Europe, Johannes Gutenberg is acknowledged as the first to invent the metal movable type in the mid-15th century. Before his invention, books were copied out by hand or printed from hand-carved wooden blocks, which were both extremely time-consuming. Gutenberg's printing system spread rapidly across Europe, and typesetting became the normal form of printing text up until the 19th century, and remained in wide use for books and newspapers until the second half of the 20th century, where major publishers transited to phototypesetting and then digital publishing. If you take YY’s “History of Typesetting Workshop” in Singapore that we're gonna talk about below, you’ll hear a lot more about Gutenberg from the artists’ mouth! Closer to home, the movable type technology was brought to Singapore in 1819 by missionaries, but it was also quickly replaced by more efficient machinery. While typesetting is now somewhat considered a lost art, there is an artisan here who wants to speak up for the traditional form of typesetting! 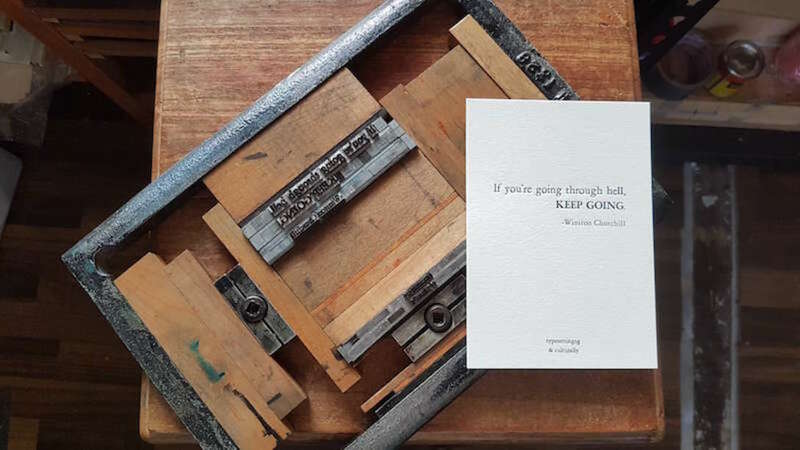 YY is a self-taught printer and founded Typesettingsg as a personal project aimed at preserving and promoting traditional letterpress in Singapore. Established in early 2014, his studio in Golden Mile Complex now serves as an educational hub for this traditional form of printing. If you take YY’s “History of Typesetting Workshop” in Singapore, you’ll hear and learn a lot more! Our beloved friend and #rallyer Sheena joined one of YY's workshops earlier this year (read more about her experience here) and it was truly an unforgettable time! Even if you are not a design or typography lover, this workshop will broaden your perspectives and help you appreciate this traditional art. What's more – you get to bring home 15 personalized cards that you can share with your friends and family! Spread the love around! What are you waiting for? Make your booking with Culturally now!